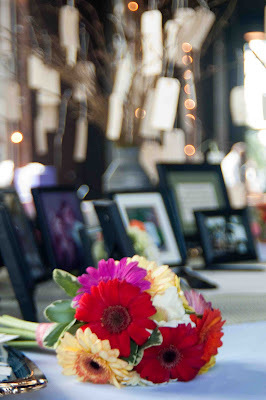 It's only January, but I've already started receiving invitations and save the dates for this summer's weddings! 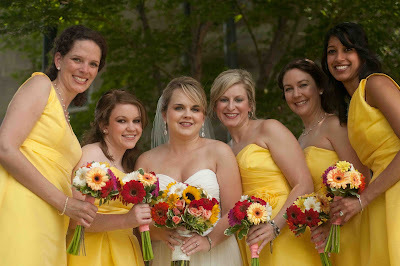 Today's sunny featured real wedding gets me excited for the upcoming season. Just gotta get through winter first! 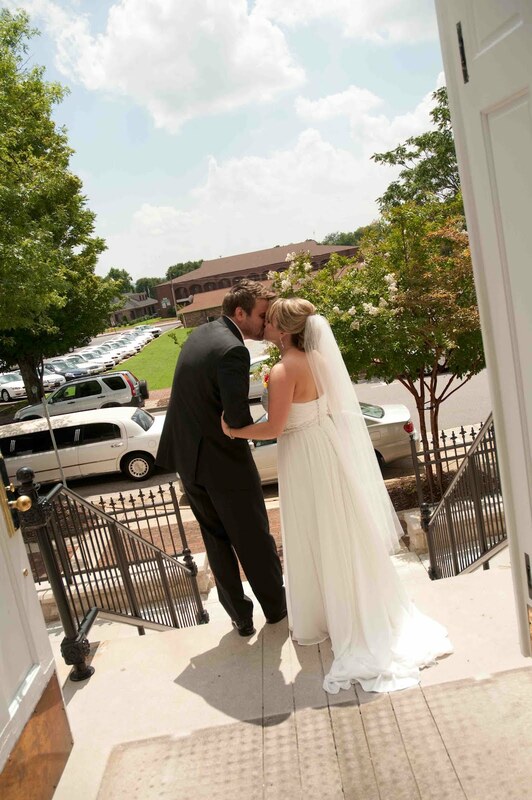 Courtney and Michael were married on a hot summer day last July in Huntsville, Alabama at the St. Mary of the Visitation Catholic Church, followed by a reception at the Huntsville Roundhouse. We loved Courtney's honesty when asked about the wedding preparations. "I'm not going to lie - I really didn't enjoy much of the wedding planning process. 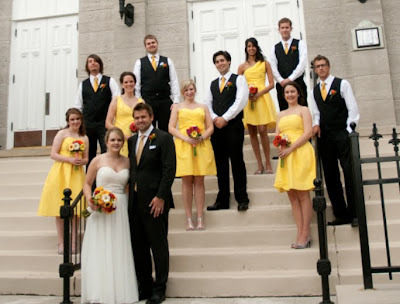 It was pretty stressful and hard to plan a wedding in 6 months. We did have one part that we enjoyed - our marriage counseling homework. Each assignment was a day trip to a different location, allowing us to spend quality time. We were able to get away from the stress and enjoy each other and our engagement. All of the crazy wedding planning really paid off though. We had planned everything into such detail, and it translated to an amazingly calm and stress-free wedding day." 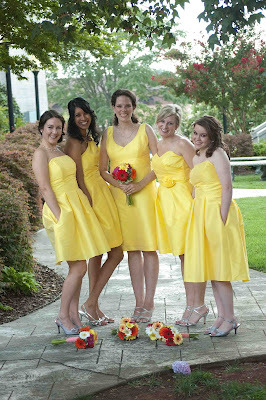 The bridesmaids wore mixed Alfred Sung dupioni fabric styles in the color Daisy. Courtney's friend from work shared that her 2 year-old daughter got upset at the wedding because she wanted "Belle" to hug her. She thought that the bridesmaids looked like Belle from Beauty and the Beast, and she really wanted a hug from the princess! 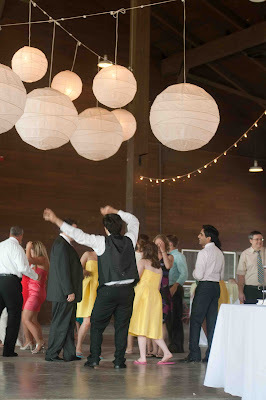 Courtney and Michael spent a lot of effort to have their ceremony and reception reflect them and the season. They included some personal elements such as heirloom jewelry and using a record player at the reception since Michael is big vinyl collector. 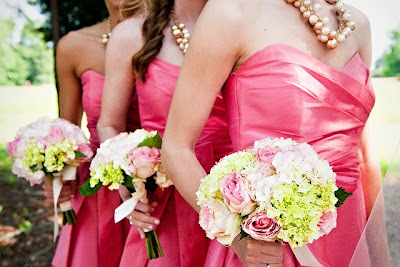 And since they were married at the height of the Southern summer, they used seasonal flowers for the bouquets, boutonnieres, and centerpieces. They also served lemonade, cold beer, and wine. Sounds like the perfect summer reception to me! 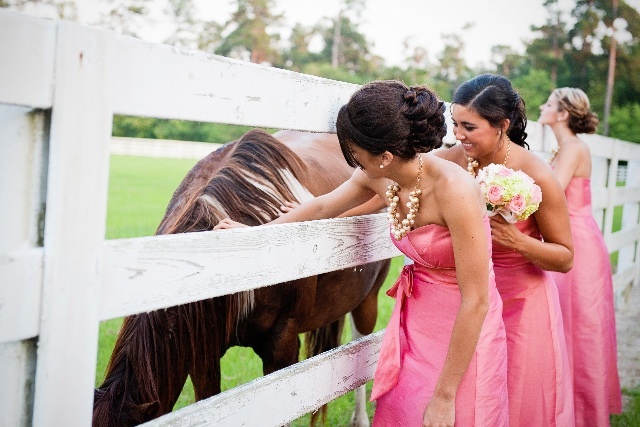 Courtney's favorite moment was between the ceremony and reception. She and Michael took a private limo ride from the church to the reception site. 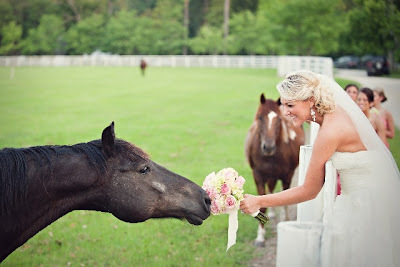 It was the first time they were alone on their wedding day. They took a nice long drive around downtown Huntsville, chatting and enjoying snacks and cold drinks in the air conditioned car. Congrats Courtney and Michael! 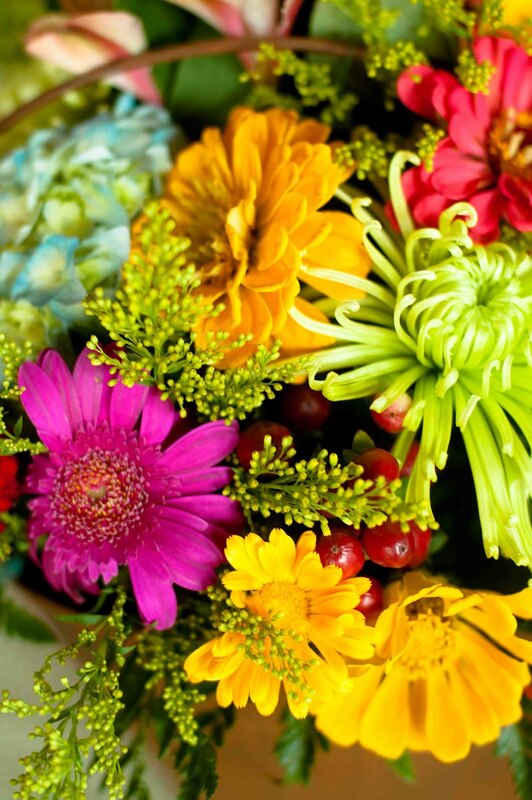 Even though it wasn't easy, it's clear that you pulled off the perfect day and a bright start to your wonderful marriage together! 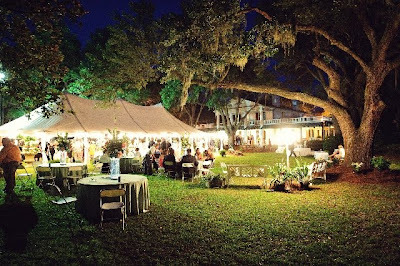 Another beautiful outdoor setting for another beautiful wedding! 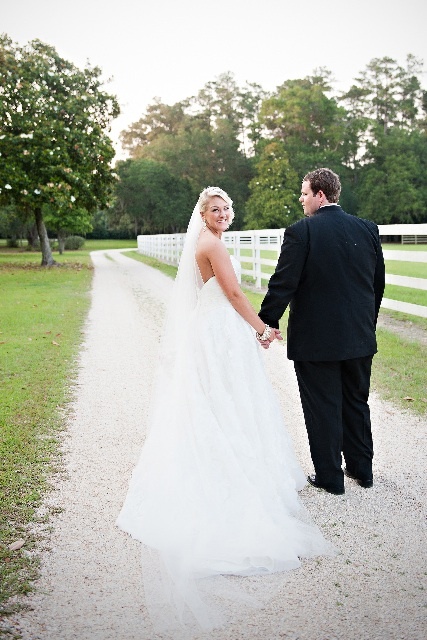 Allison and Lee were married last summer at the Sardinia Presbyterian Church in South Carolina, followed by a tented reception at the Springfield Plantation in Kingstree, a 7,000 acre tree farm and wetland wildlife preserve with an antebellum mansion. Allison says she is one of those girls who had been "planning my wedding my whole life, complete with folders on my computer full of pictures, and constant browsing of wedding blogs!" She loved putting her dreams into reality and seeing all the details come together. 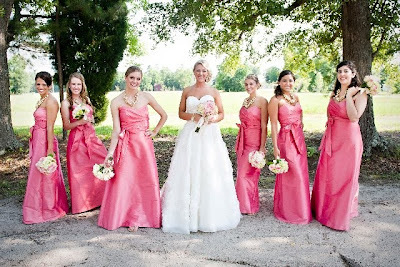 The bridesmaids wore full-length Style D457 by Alfred Sung in Papaya. The dupioni fabric is perfect for catching the outdoor sunlight. We also love the matching necklaces! It's not often that we see bridal parties wear such striking jewelry, and it's a fun yet refined way to complete an elegant look. Allison's favorite moment was their first dance. Lee and Allison met through their church choirs, so music has always been an important part of their relationship. A local singer/songwriter, Erich Skelton, played Allison's favorite song "Every Little Star", which he composed. It was the same song Lee had used for his proposal, so hearing it again as they danced as husband and wife brought everything full circle. Congrats Allison and Lee! May life be a happy song as you build a marriage filled with love and joy.